When you walk down the high street of the local town you’re usually met with a mixture of religious preachers, a bloke with a guitar and a kid dancing while a rather unimpressed parent sits behind with a coffee. 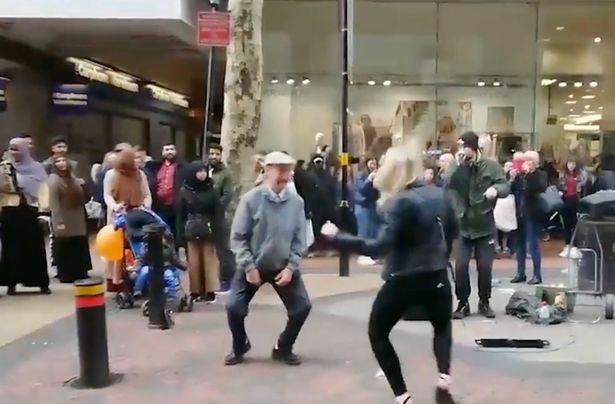 Very rarely do we see something that makes us do a double take but one of those occasional moments happened in Birmingham when this dancing pensioner was caught on camera. 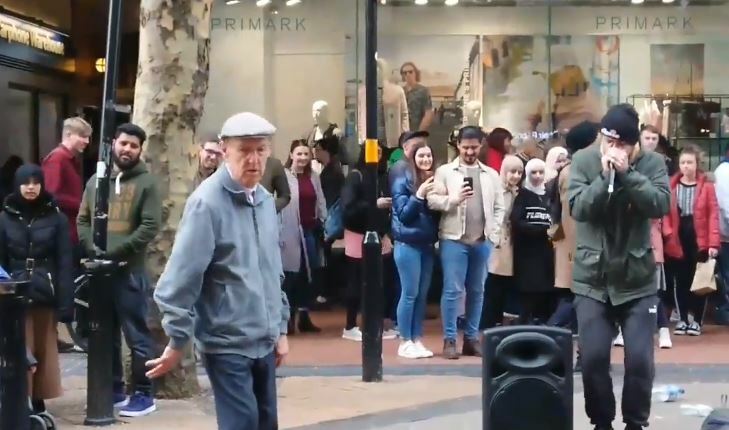 Some older people may say‘urgh that’s just bloody noise’,but not this LAD – he embraced the tune and got jiggy with it as a large crowd gathered. Sporting an anorak and flat cap the adorable OAP got his hips moving as he stood in front of the busker – he was briefly joined by a woman who, let’s face it, he completely overshadowed. When someone dubbed the man a ‘legend’ (very accurate), Michelle responded: “He’s the old person, well actually the person, I want to be.” You, and us. Taking to social media, one person said: “I want him at one of my parties,” another added: “Sunny day old man dancing already I’m in a great mood.. feel the love everyone”. 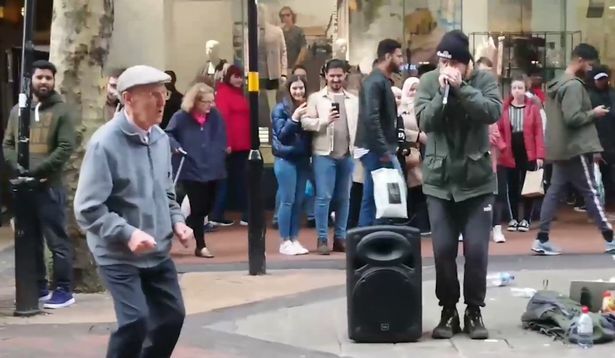 The old fella looks like he’s loving life as the young beatboxer sings ‘drum and bass in your face’ – this just gets better and better, doesn’t it? He even looks as though he’s attempting to ‘sing’ along with the tune as his shoulders and hands move around to the beat. People begin to throw coins into case in appreciation of the surprising duo and the beatboxer glances over at the assistance his new partner has provided. We wonder whether he can give us any much-needed tips?